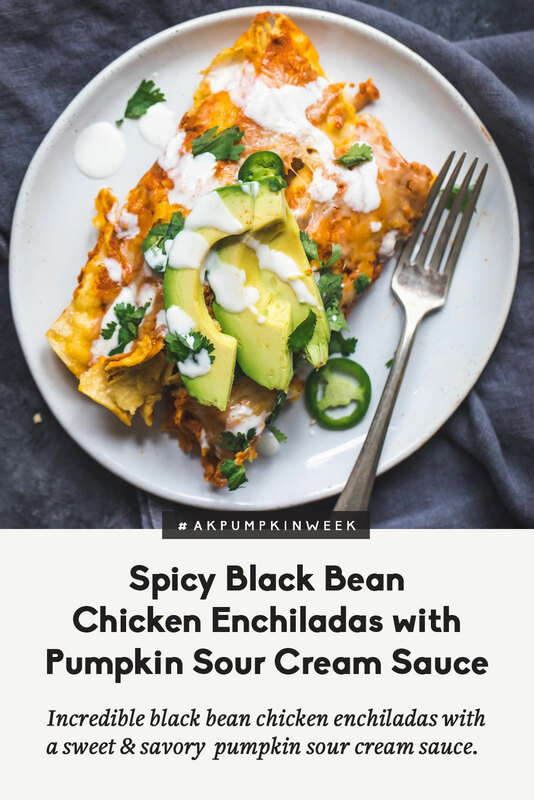 Incredible black bean chicken enchiladas with a slightly sweet and spicy pumpkin sour cream sauce. Irresistible and a great way to use up extra pumpkin! Hi! Does anyone remember this delicious recipe originally from 2012? I do. 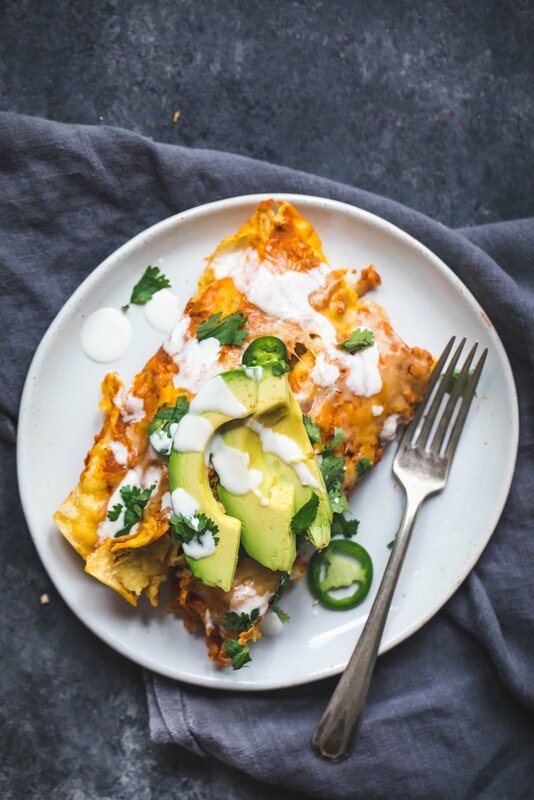 They’re one of my favorite enchilada recipes EVER and I’m super excited to bring them back to life with new photos & a video just in time for #AKPumpkinWeek. P.S. Don’t forget to sign up for our newsletter for a special bonus recipe hitting your inbox tomorrow! Anyway this recipe has been just waiting for you, begging to be cooked. FOR AN ENTIRE WEEK. I mean, now that it’s October, I feel like I can really break out the fall baking recipes, healthier comfort food, and oh my goodness… all of the delicious treats involving brown butter just scribbled on my chocolate-stained notebook. Sometimes I just crave comfort; warm; ooey-gooey goodness that would make me sink into a food coma in a very good way. But what was it going to be? It’s a bit obvious, but I’ll say it anyway: These black bean chicken enchiladas drenched in a PUMPKIN SOUR CREAM SAUCE. Oh hello deliciousness. Now you might be wondering about this pumpkin sour cream sauce magic, and you should be! It’s a bit sweet, a hint of spice, and all things good in life. This is going to be one delicious enchilada journey. Honestly, I can’t believe it’s been 6 years since I originally made this recipe! WAY TOO LONG. While I was retesting the recipe the other week, I think I was already drooling by the time I warmed up corn tortillas and stuffed them with some shredded chicken, black bean, cheese, and the pumpkin sour cream sauce. After all these enchiladas combine my two favorite things: pumpkin and hispanic food. YUM. I can’t even begin explain how delicious and comforting this recipe is. 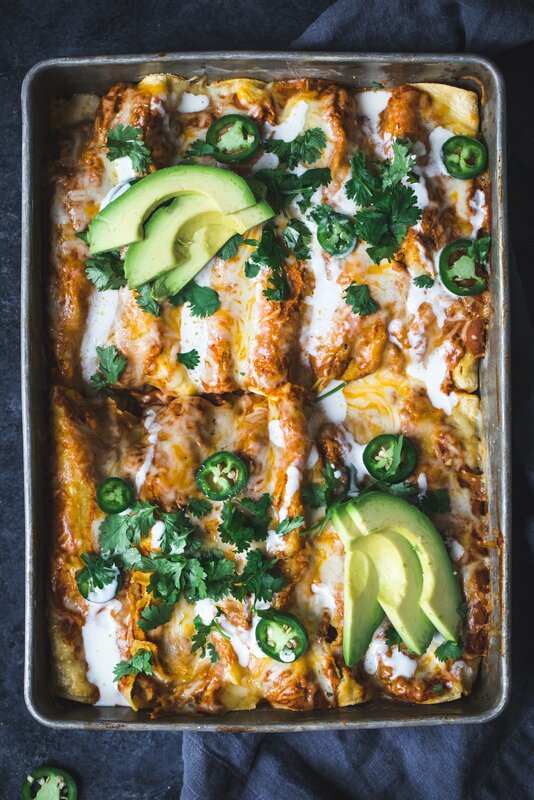 They enchiladas are both sweet and savory and completely worth the time it takes to put them together. Another thing that’s great is that these can be made ahead of time and kept in the fridge (or freezer!) until you are ready to cook them. Everyone LOVES them. I LOVE them. And I know you’ll LOVE them too! Warm one up for breakfast and throw a fried egg on top. No regrets. I enjoy topping mine with a bit of sour cream and avocado which helps to cool the little bit of heat that these bring. If you’re vegetarian, simply leave the chicken out and add another can of black beans. Begin by making the pumpkin sour cream sauce: In your food processor or blender combine pumpkin puree, tomato sauce, sour cream, water/broth, garlic, chili powder, cumin and cayenne; puree until smooth. You can also do this in a large bowl. Taste and season with salt and pepper. Preheat oven to 350 degrees F. Spray 9x13 baking dish with nonstick cooking spray and add 3/4 cup of pumpkin sauce to the bottom; use a spatula to spread out evenly. Set pan aside. Place shredded chicken in large bowl and add 3/4 cup of the pumpkin-sour cream sauce to it. Set aside. Next make the filling: Heat large non-stick pan over medium heat and add olive oil. Add onion, jalapeno and minced garlic and cook 3-5 minutes or until onions begin to soften. Remove from heat and transfer into the bowl with the chicken, then add in the black beans and 1 cup of the pumpkin sauce. Stir to coat the filling. Next warm tortillas in microwave for about 20 seconds so they are easier to roll. You can splash a little water on them before microwaving to make them more pliable. Then, place about 1/4 cup mixture on each tortilla. Sprinkle 1 tablespoon of cheese in each tortilla. Roll each tortilla and place seam side down in baking pan. Pour remaining pumpkin sauce on top of all the tortillas and then sprinkle remaining 1 1/4 cup cheese on top. Bake for 20-30 minutes until cheese is melted and edges of tortillas begin to turn golden brown. Top with sour cream, avocado, or cilantro. Makes 6 servings -- about 2 enchiladas each (12 total). If you are having a hard time rolling the corn tortillas, try dipping them in the pumpkin sour cream sauce first before you fill them. It should help to make them easier to roll! 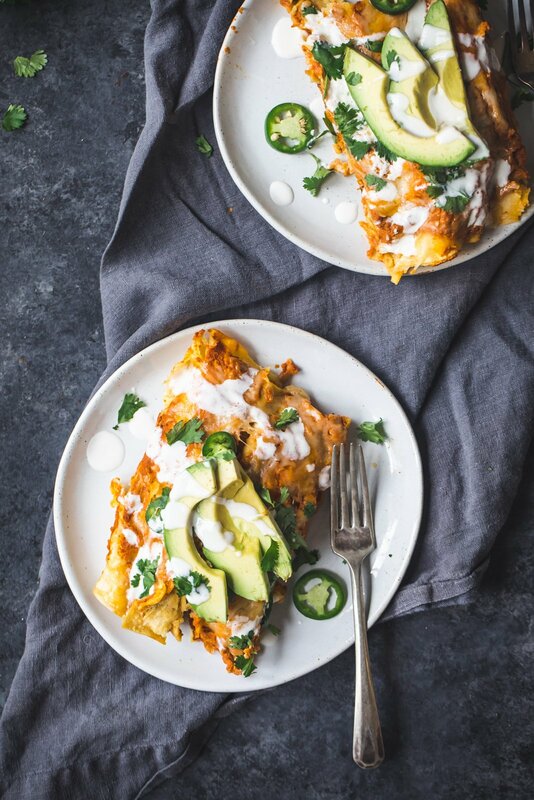 76 Responses to "Spicy Black Bean Chicken Enchiladas with Pumpkin Sour Cream Sauce"
OMG! If it wasn't 104 degrees in So Cal, I would make this tonight. Going to have to wait for cooler weather but can't wait! May be next year when it cools off. Pumpkin sour cream sauce?! This sounds amazing. I want to put it on everything; it’s absurdly good. The pumpkin sauce sounds amazing! Making this today! 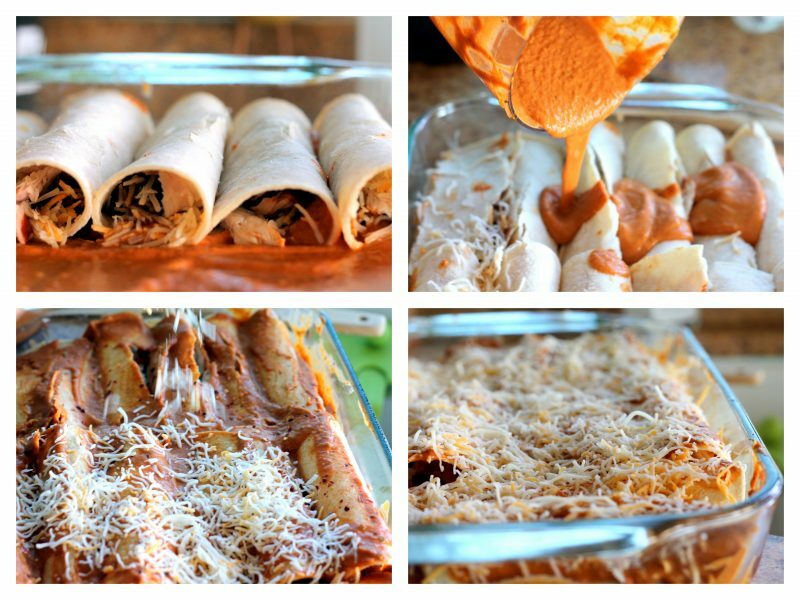 I’m loving this fun twist on enchiladas for a fall-themed recipe! I loved that you added the pumpkin twist in the sour cream! My husband would eat Mexican everynight since we live in Houston. I am certainly going to try these on him. My mom taught me that dipping your tortillas in the sauce before stuffing them, kept the tortillas from drying out and cracking. I am making these tonight! I made these yesterday…not easy with a fussy baby who doesn’t like to be put down, but I managed. I can’t get over how.freaking.good these are…I made double the recipe, and I’m glad I did. We had it for dinner with brown rice last night, lunch and dinner today, and will have them for lunch tomorrow, and I’m already sad thinking about the pan being empty. Thank you for this wonderful recipe! OMG! This is so good! Loved the black bean & pumpkin enchiladas. One minor flaw, the directions never state to have you pour remaining sauce over & cheese over top before baking. Looks like that step got missed. Obviously figured it out, but might want to change. THese were amaaaazing! What a fantastic combination! Please please please make a cookbook, I will buy ten million of them! Made these this evening, everyone LOVED them. I must be doing something wrong though, I had enough to make 32! I have found many recipes worthy of saving to try in the future. This is the first time I have commented e en before trying. Sounds marvelous. I’ll let ou know the results when I make. Thank you for posting! Omg these are amazing! I made a couple of minor changes. I roasted a pumpkin and used that as my purée. I also used canned tomatoes instead of tomato sauce. I had half a can of corn in the fridge so I added that to the black bean mixture. Then I BBQed the enchiladas! I Kind of burned the bottom cuz it was my first time bbqing but I just cut away the burnt bits and it was still delicious. Okay….if these taste as good as they smell in the oven right now, it's gonna be one great football day tomorrow!!! 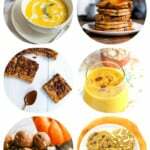 I love the pumpkin sour cream sauce… it has to be one of the best I have ever tasted. It would work so for so many dishes, over burritos, etc. Love the enchiladas. 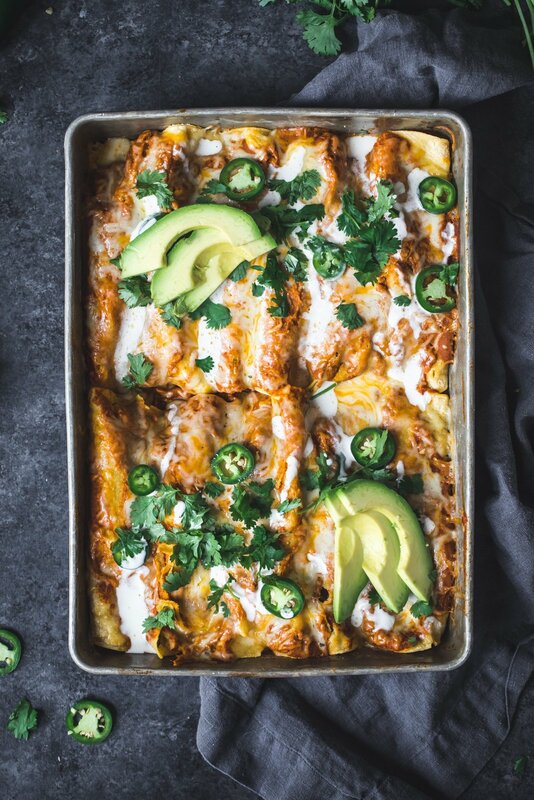 I’m not sure if I commented on these before, but these are seriously the best enchiladas I have ever made and ever eaten! Sometimes I change up the filling a little, but I can never do without this sauce. It’s AMAZING. 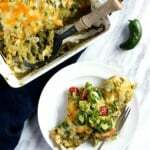 I have tried a few other enchilada recipes but this is by far my favourite and for a while I was making it every week. Thank you so much for sharing this marvelous recipe with the world! Just made these last night and they were wonderful! This is my first savory dish I’ve ever made from Ambitious Kitchen. I’ve made several of the bread/muffins/granola bars/oatmeal recipes, but never an actual savory dinner! My husband, son, and I loved them! As I was filling them, the corn tortillas kept breaking so I ended up frying each of the tortillas in oil for about 5 seconds before filling them, and that made them much more pliable. I’m sure frying them made them more unhealthy, but I don’t care! The flavor of these things were so yummy!! And like others have said, that pumpkin sauce is really great. I omitted the jalenpeno and red pepper flakes because I’m a wimp with spicy food, but i added every other ingredient as written, and this was a great recipe! Will definitely make again! SO happy you loved them! They’re such a fun flavor combo! 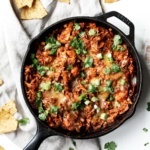 Just came across this recipe on pinterst, I have all the ingredients, except I have flour tortillas, not corn, will the work? What tortilla should I use? What size flour tortilla did you use? Would this sauce work on roasted spaghetti squash with leftover chicken? I just made enchiladas, but this sauce looks soooo yummy. Thank you in advance. Thanks for the quick response! I made the pumpkin cream sauce (sauteed some onions and garlic first, and also added a bit of white wine, & parm (for those who could have it)) and used it to top the spaghetti squash and leftover green chili chicken. Thumbs up all around! I can’t make to make your enchiladas now! 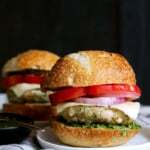 I am making these now and so can’t wait to dig in! They look so delicious! Only thing I did maybe wrong was win the pumpkin sour cream mixture. I put less than half of it with shredded chicken and then put a thin layer on bottom of pan. When finished rolling tortillas, I realized I had quite a bit of the pumpkin sour cream mixture left. Any suggestions on what I could use the extra for. (maybe add to the recipe directions to pour the remaining pumpkin mix on bottom of pan and/or add more to chicken), because I did think the rest would be added somewhere at the end of directions. 😉 Thank you so much for the recipe! Hi Dawn! I hope you enjoyed these! Noted on using the rest of the sauce – I’d suggest adding it to the chicken! Sounds great— making it tonight! 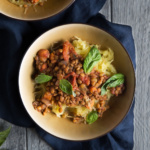 Hi Monique – I just stumbled upon your site and all your recipes look amazing. 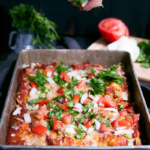 Going to make enchiladas for dinner tonight but I am wondering about the tortillas in all that sauce – don’t they get soggy? I would use flour tortillas as I am not fond of corn. Hi Paula! I’m glad you found Ambitious Kitchen! Flour tortillas will get a bit softer than corn ones, but baking them in the sauce makes them hold up well! Thanks Monique – they were delicious! This is just what I am looking for! All the ingredients look tasty and delicious. And thanks for adding the video. It will help me a lot to make the recipe perfectly. That pumpkin sour cream sauce sounds amazingly delicious!!! 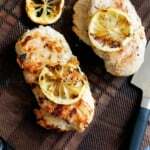 I made these for dinner last night – they were delicious! I don’t eat meat, so I replaced chicken with a lot of spinach and it tasted great. Thanks for another win. I’m going to make your Mom’s lentil loaf this week – I forgot about that one. Please do recipe “reminders” from older posts, I forget about the good ones sometimes! I made these last night and they were SO good! I used vegan sour cream and added chopped spinach to the chicken/ bean mixture. I also barely put any cheese on top (and none inside) and they were still DELICIOUS! Monique these were delicious! I made them last night for a friend and they were a huge hit! I added some quinoa to them because I had it on hand and I happened to use this pumpkin chipotle marinara instead of tomato sauce and it worked so well! I also subbed Greek yogurt for the sour cream because it’s what I had. My friends and sisters loved it and I’m definitely going to serve it up before Halloween! I’m so glad! Your swaps sound perfect, too. Oh boy, these are fantabulous! I used organic canned chicken and about half the spices because we are wimpy over here. I got 16 generously filled enchiladas so I am putting the small pan in the freezer. This would be amazing using leftover turkey!! Perfect! And YES such a great idea using leftover turkey. Glad you loved these! Ok you have done it again!!!! 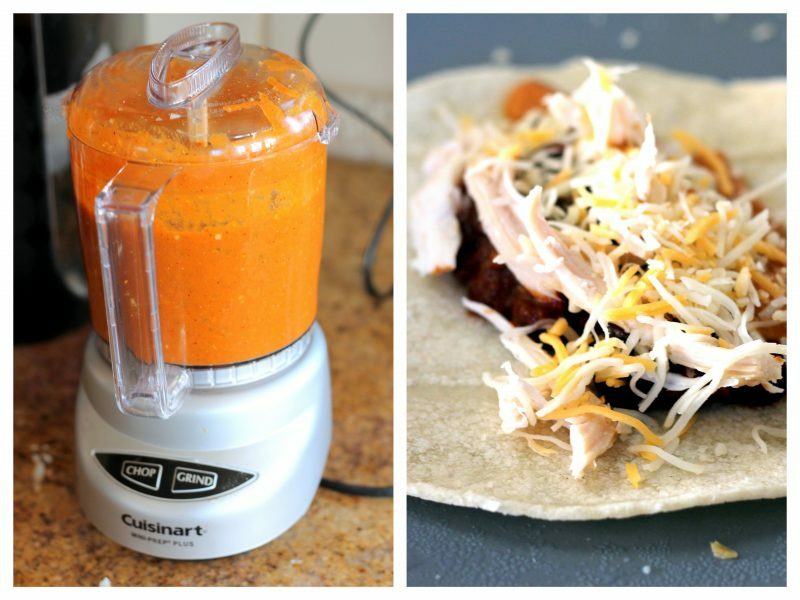 This is the second recipe that I have used (turkey tacos was the first). This was amazing!!!! I am a Mexican food lover and this hit every spot. Keep up the good work!!!! Just made these and give it five stars. I added ~3/4 Tbsp of unsweetened cocoa powder to the sauce to give it a little depth and added extra cayenne to bring out the spice – hot damn, they were great! Hoping to freeze them to enjoy later, but regardless, this will definitely be a regular meal in my house. Love that idea! I’m all about extra spice. Glad you found this recipe! Delicioussssss. Used an acorn squash (roasted whole in oven, peeled and seeds removed after cool). Had some heirloom beans to use up and frozen corn. Wish I would have doubled the recipe to freeze one. Next time!